An excipient is usually an inert substance, a means to an end, often improper, that forms a vehicle for a drug. As an example, dyes have been found to be carcinogenic, therefore against the law per the Delaney clause, and an old article said the FDA had postponed the issue 29 times. Dr. Jacqueline Verrett, toxicologist, at the time of the investigation of aspartame , wrote a book "Eating Maybe Dangerous to your Health" and is a great deal on the issue of dyes and the FDA. She basically says until the FDA is pushed against the wall they are not going to do anything. Like in the issue of aspartame the FDA knows its a drug and not an additive, have Dr. H. J. Roberts medical text, "Aspartame Disease: An Ignored Epidemic" with a chapter on drug interaction, yet continues to allow new drugs with added aspartame which can interact. So many drugs contain aspartame, defeat their purpose and can kill. I stopped breathing three times after being given drugs with aspartame and didn't know it. There is no one to protect you as the FDA themselves have explained. In 2009 some of the employees wrote to then Present Obama and discussed the FDA is broken, there is corruption and whistleblowers fear reprisals. So you're on your own, take it seriously and read labels. The life you save maybe your own. Also write your Congressman and Senator in Washington. Like Dr. Verrett said until the FDA is backed against the wall will they change. The Speaker of the House, Newt Gingrich, about a quarter of a century ago tried to assist me to get the FDA to answer 26 questions. They remain unanswered to this day: : http://www.mpwhi.com/26_ aspartame_questions.htm They simply refused. Isn't it the guilty who take the fifth!? More information on aspartame on www.wnho.net , www.holisticmed.com/aspartame , and www.dorway.com files now on www.mpwhi.com because DORway was hacked.
" The majority of medications contain inactive ingredients that can cause adverse reactions and affect the safety and security of these medications ." The findings of the MIT and Harvard Medical Schoo I researchers in Boston are unmistakable in their March 13 issue of Science Translational Medicine . For example, 45% of medicines contain lactose , a sugar that can cause allergies in sensitive people; 55% contain an oligosaccharide-type sugar, monosaccharide or polyol, which can cause intestinal disorders. Some dyes, such as tartrazine, are thought to aggravate asthma attacks . "If these substances are, in general, too small to cause an effect, very sensitive patients can be affected, " says Daniel Reker, a co-author, at the Inverse site . " The problem for these patients is that they have to make a choice between their allergy and the illness they are being treated for ." And there is not always an alternative: 100% of progesterone treatments contain peanut, notes the researcher. For François Chast, Honorary President of the National Academy of Pharmacy, this kind of alarmist studies simply does not make sense. " It takes 10 to 15 grams of lactose to trigger a lactose allergy. However, a drug will contain a maximum of 300 mg, "says the specialist. Tartrazine? " It is much more dangerous for an asthmatic to walk in the forest where there are plenty of pollen than to absorb a pill containing a few milligrams of tartrazine, " laughs the practitioner. The latter, however, agrees on one point with the authors of the study: the need to clean up the drug formulations. " It is quite possible to reduce preservatives or dyes in many specialties, "says François Chast. 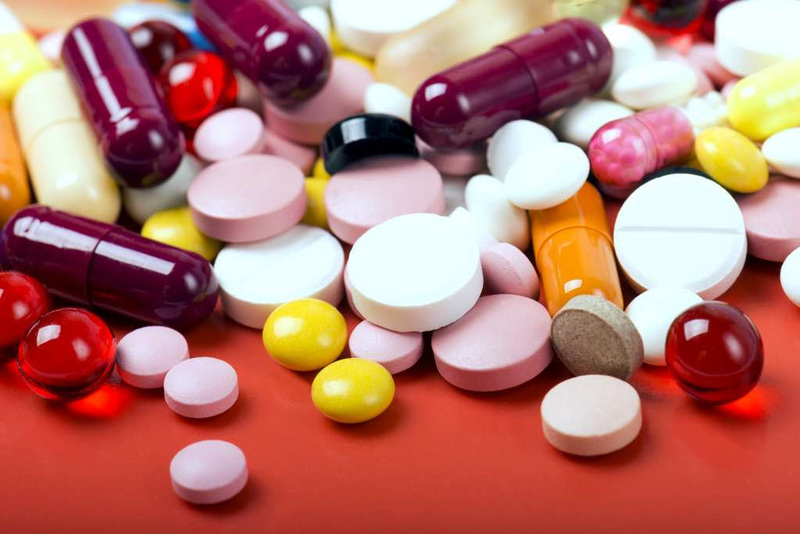 Of 10 drugs, 9 contain excipients that can cause allergies or intestinal disorders.